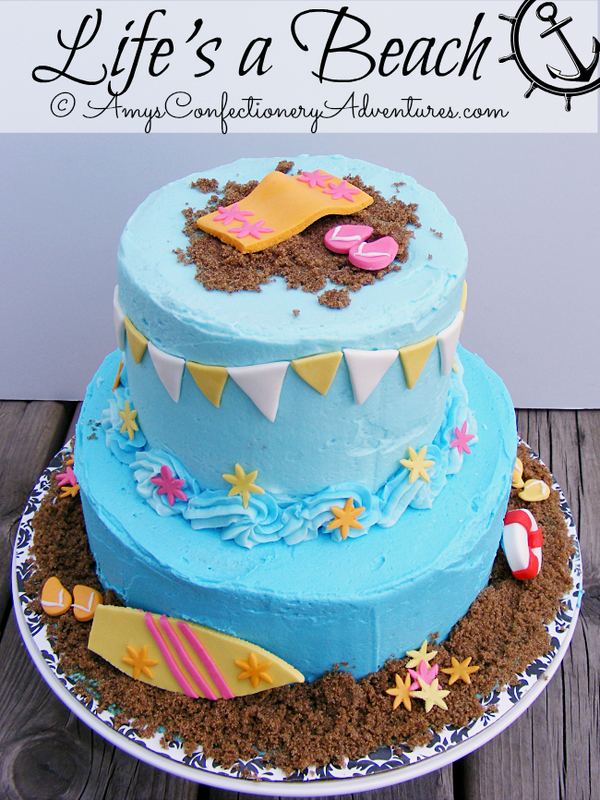 Amy's Confectionery Adventures: Life's a Beach! 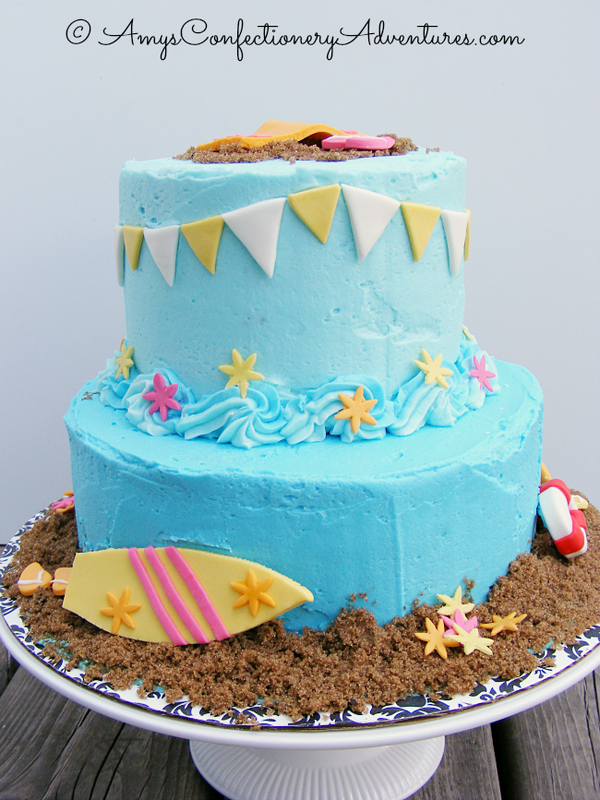 This cake was made for a beachy party last summer, but I thought I’d share is now. After all, we can dream! 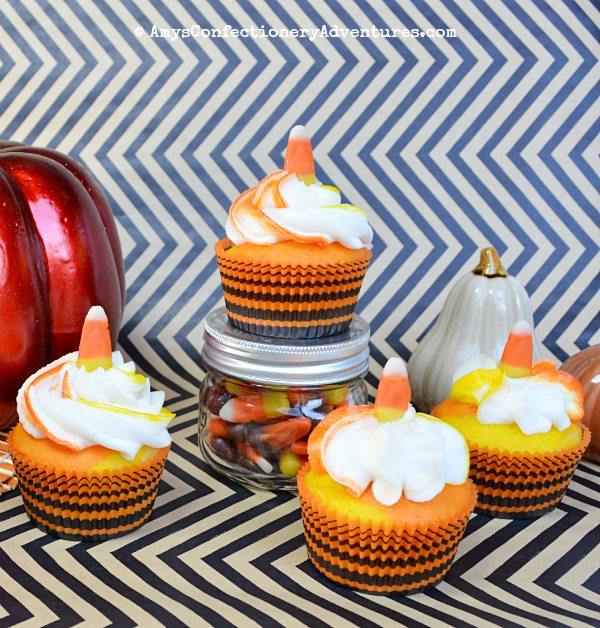 ahhhhhhh this looks SO good---the perfect way to transport yourself out of this awful, cold weather! This is gorgeous! 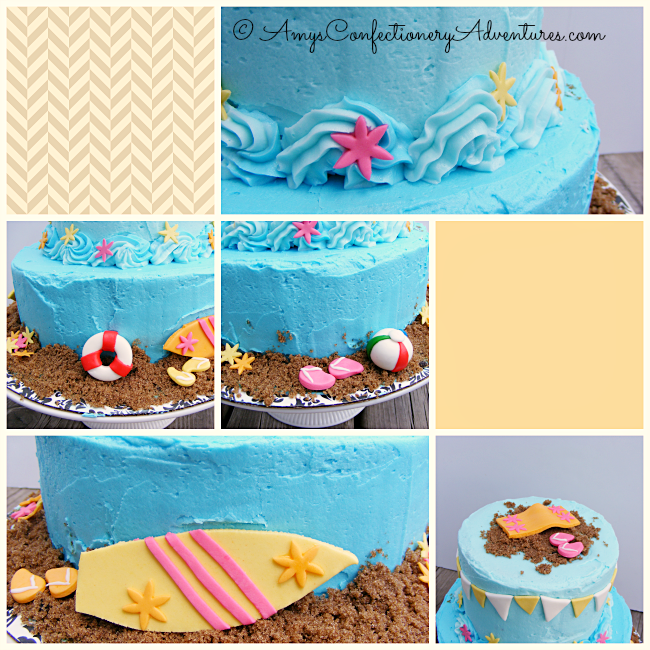 I love the brown sugar sand! 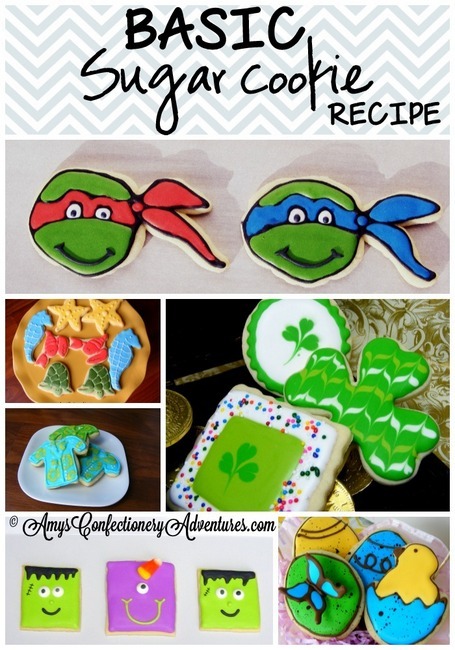 Oh, I love it! So pretty and totally makes me want to go to the ocean! Stunning & beautiful colors! I love it, and it caught my eye at the ishouldbemoppingthefloor.com party--I had to stop by!